This is an authentic CDV image of Union General Lewis Cass Hunt(1824-1886). 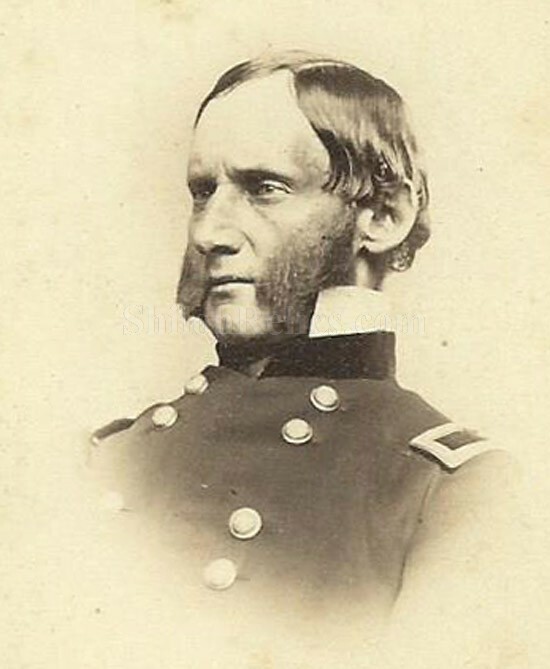 General Hunt was born on February 23, 1824 at Green Bay, Wisconsin. He graduated West Point Military Academy with the class of 1847. He was wounded at the battle of 7 Pines. Where he was serving as the kernel of the 92nd New York Infantry. When he recovered he was sent to North Carolina and was promoted to Brigadier General of volunteers on November 29, 1862. He died on September 6, 1886 and is buried at the National Cemetery at Fort Leavenworth, Kansas. 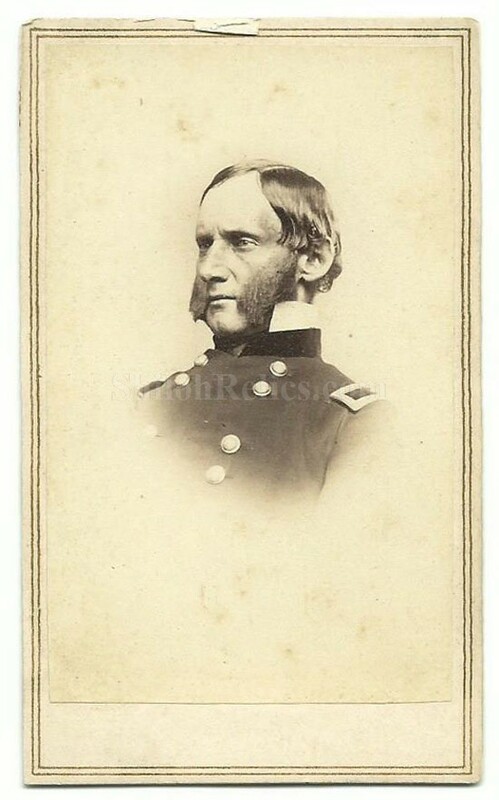 It is a nice clear CDV of the General in his dress uniform. The CDV images were made by applying a thin paper photo image of the famous person of the day to a heavier paper card. This made the image more durable and easier to display and also added uniformity to the size. The overall size of a CDV image is approximately 2.5 inches by 4 inches in size. 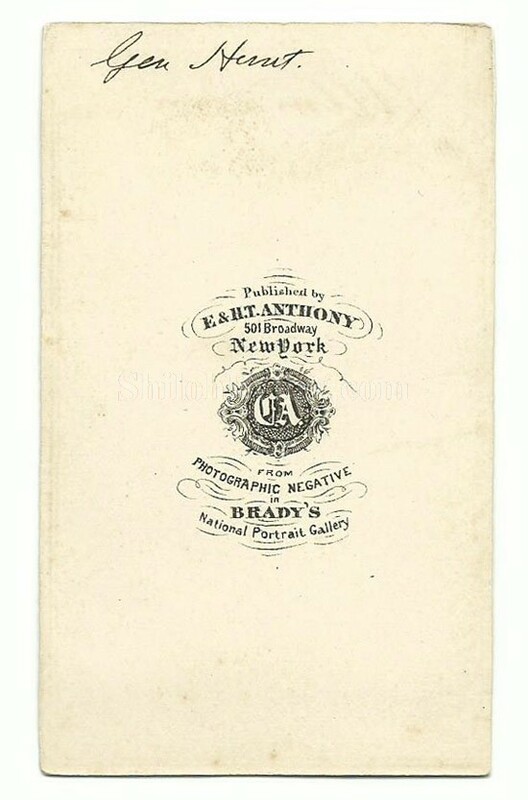 On the reverse of the card it has the desirable photographer Mark of the Anthony studio in New York, New York and makes note that it is produced from a negative taken by Matthew Brady. It is a fine original CDV that will make a solid addition to any Civil War collection.